Brian Childers is an accomplished composer, conductor, and clinician. His choral, instrumental, and handbell works are performed throughout the world. He has been a featured performer and clinician at numerous music conferences and workshops across the nation. Brian received his bachelor of music degree in piano performance from Appalachian State University and the master of divinity degree in church music from the M. Christopher White School of Divinity at Gardner-Webb University. From 2012-2015, he served as Artistic Director of the Queen City Ringers, a Community Handbell Ensemble based in Charlotte, NC. He has served churches throughout North Carolina, building vibrant programs for choirs, handbells and instrumentalists at each. 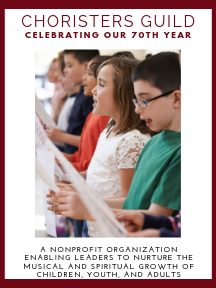 He currently serves as Director of Children and Youth Music at Myers Park United Methodist in Charlotte, NC where he oversees ministry to children and youth and conducts 6 handbell choirs. Brian’s compositions and arrangements are available through a variety of publishers. Brian is married to Keely Childers, a professional counselor and has two adult children, Hannah and Spencer, both of whom served as drum majors in their college marching bands. Brian is an avid runner and a rabid fan of the San Antonio Spurs. You can learn more about Brian and his growing list of published compositions at BrianChilders.org.